Angus Young, AC/DC lead guitarist, songwriter, and co-founder, married Ellen van Lochem from Aalten, Netherlands in 1980 shortly before Bon Scott‘s death. Ellen’s family runs the local blacksmith business in Aalten. 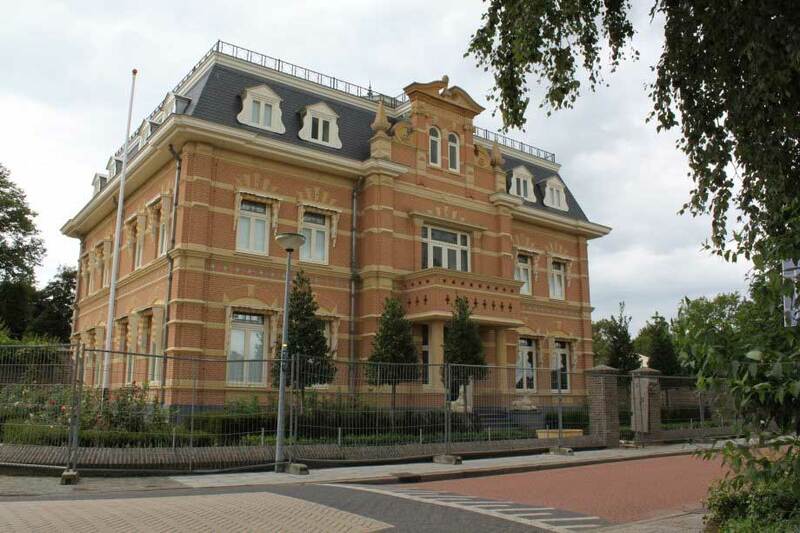 Although Young prefers to keep his private life out of the media, it is known that he now lives in Sydney, Australia and also has a home in Aalten, Netherlands. Because he has a home in the Netherlands, he is also on the Quote 500, the list of Holland’s 500 richest people. 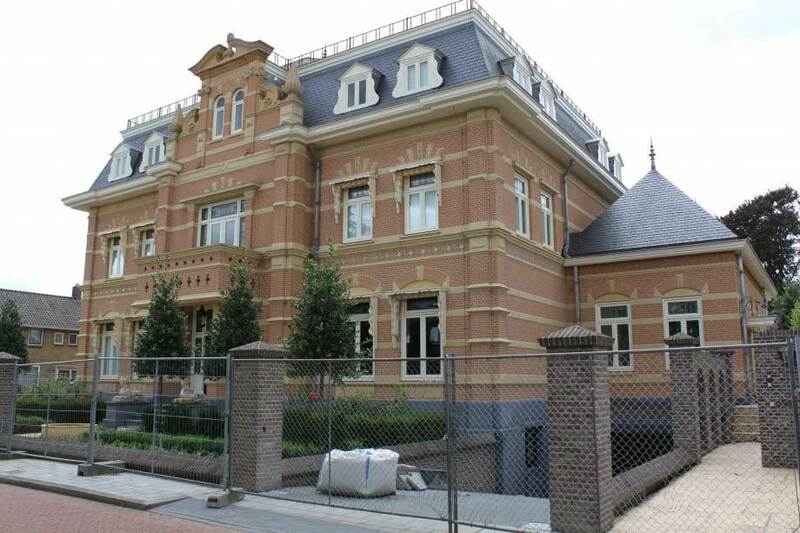 Angus and Ellen are building a new three-story home in Aalten. The home includes a recording studio, his and hers bathrooms and a swag of guest rooms. 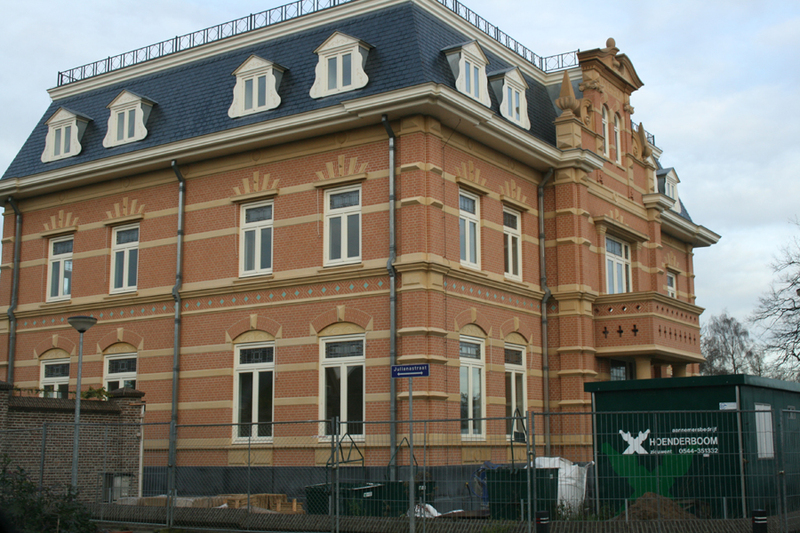 The new home is controversial in Aalten since it is much larger than the existing homes there. 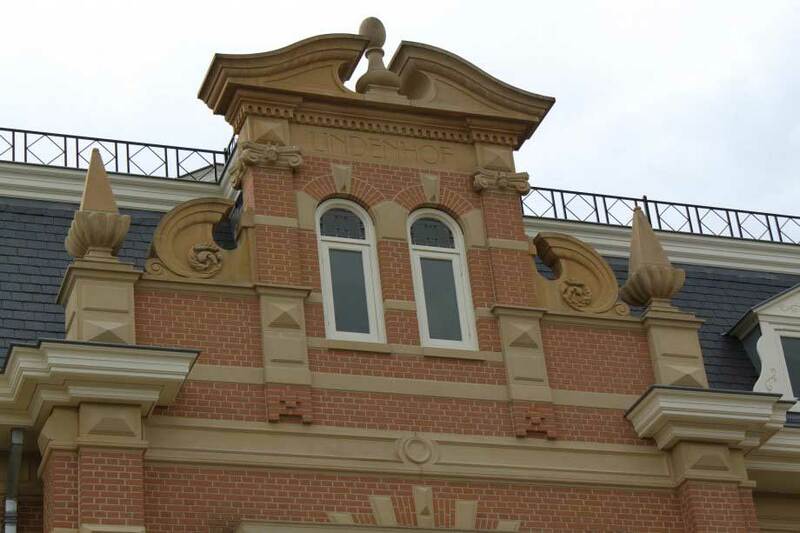 Young is rarely seen in Aalten, which is in the Dutch countryside near the German border and is considered one of Holland’s music hubs. The couple are immediately recognizable when they do get out – Angus is 5’2″ and Ellen is 5’8″. November 20, 2008 – A new photo of Angus and Ellen’s home was taken on November 18, 2008. Click on photo for a full size image. Thanks Peter van Lunssen! May 22, 2008 – Angus Young’s Fan Page was created with additional information and photos of Angus and Ellen Young! Thank you Patty Paredes! August 8, 2010 – Three new photos of Angus and Ellen’s home were taken on August 5, 2010 by Wilma Faber. Thanks Wilma for sharing with Rocklopedia! Editor’s note – If you have information or photos of Angus and/or Ellen, shoot me an email at janet@rocklopedia.com or leave a comment. If your info is published, you’ll get the credit! Rock on! We hope you enjoy the show in Nashville! We’re interested in hearing from fans who attend one (or two!) AC/DC concerts and hope you will write back after the concert to tell us about your experience. If you have any photos to share, send them to us and we’ll post them for all of our readers to enjoy! I’ve seen ACDC 17 times, three times this tour. They are amazing as ever! I love them. Saw the boys in San Antonio and again in Dallas in December and January. Third and forth time I have seen them and they still are the best live band out there. No one compares. Angus is the best i have ever seen and i have seen over 100 rock bands! Angus forever. That lady in the photo with Angus, while being blonde and pretty, isn’t his wife Ellen. Looks more like a fan photo. I think Mr Young makes good music, but the problem with the house he and Ellen have build in the village of my youth is not that it it significantly bigger than its neighbours: the problem is that it is it’s just plain FUGLY!!! !